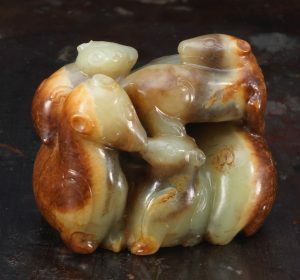 Rasti Chinese Art Ltd. specialises in Asian antiquities, as well as contemporary art that engages in dialogue with classical artworks from China’s past. The gallery collaborates with artists who share a passion for history and who enjoy works of refinement. Director Nader Rasti was Director of the Chinese Ceramics and Works of Art Department at Christie’s London, before leaving in 2000 to start his own art dealership which quickly became known for its exquisite Chinese jade and hardstone carvings in traditional literati taste. In 2013, he founded Rasti Chinese Art in Hong Kong. Through the juxtaposition of past and present, Rasti Chinese Art hopes to inspire the audience to appreciate Chinese art with a fresh perspective.